Wildlife is for all of us, not just the hunters. Hunter’s and government officials who claim that hunting and culling are acts of conservation are simply exhibiting their ignorance of the findings of modern science that describe a highly interconnected and complex Nature where Her vital connections can be harmed or broken with a hunter’s gun. 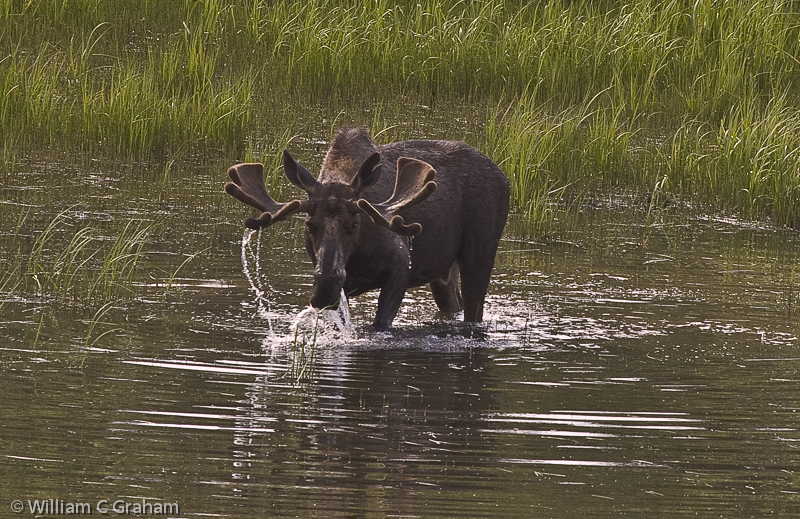 There is absolutely no proof that hunting or culling provides a positive conservation value or enhances an ecosystem. Indeed, the facts speak to the contrary. Hunting and culling break connections in Nature. These practices cannot replace the natural equilibrium produced by Nature when left to Her own devices without interference by mankind. Said in another way, man cannot control Nature. Conservation success stories, like the Yellowstone National Park wolf recovery program, serve to support the idea that ecosystems are highly complex and unpredictable by mankind. 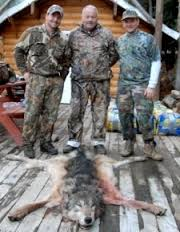 Yet, state conservation agencies and U.S. government agencies like the Fish and Wildlife Service, the Forest Service and the Bureau of Land Management ignore their conservation mission and bow to the strong political will of gun and hunting lobbies in Washington. The money from lobbyists seems to control the decisions of government agencies who set regulations, order wildlife culls, and issue hunting permits. I spoke of the impact of this political corruption on Nature in a previous post. Usually, I write my own text for a blog. But, this time I feel that the message presented by blogger Rick Meril is so important, I’m quoting him directly. 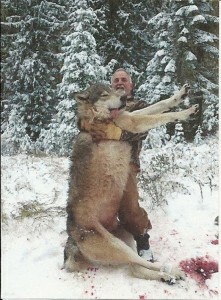 Rick’s blog site is called “Coyotes, Wolves, and Cougars Forever” . Rick’s post presents some very practical and positive ways to challenge the erroneous worldview of those who hunt or cull wildlife. “It is very common for those entrusted with protecting wildlife at the state level to forget that wildlife is for all people. History and tradition have made it easy to concentrate on managing animals for the needs of hunters. The non-consumptive community is tolerated at best, marginalized and ignored at worst. Is this the fault of the Agencies alone? Not entirely, there are several ways that we can work together on finding solutions to the imbalance that permeates wildlife management. We can look for agency practices that DO encourage and serve non-consumptive users, we must affirm those efforts and positively reinforce the actions that show a true understanding of the need to manage wildlife in ways that serve everyone. We must show up! You will never go to a game agency meeting that has no consumptive users present. We are all constituents and we must be prepared to show up too! We must realize that change comes slowly, and that lasting change often comes from the changing of perceptions and understanding. A change of culture, not just of regulation. We must always identify who the actual ‘decision-maker’ is, and that means knowing where the ‘leverage’ comes from. The person in front of you may have no control at all over what is happening. Find out who does and direct your efforts to them. One of the main reasons that agencies are able to be so dismissive of the needs of non-consumers and advocacy organizations is that we rarely vote according to our core environmental beliefs. This often results in state governments, especially in the Rocky Mountain West, being mostly comprised of those with similar consumptive ideals to their state’s historic demography of producers. For the strategic politician, these special interest stakeholders can mean the difference between re-election and ‘retirement’! Livestock producers and carnivores CAN co-exist but it is up to the producer to take the steps required to do so. More and more livestock growers are embracing non-lethal deterrents and conflict prevention. We must support and encourage them as they try to find the new balance that is found beyond the use of bullets. They are 21st Century pioneers indeed! We must be able to identify the actual issues that we are addressing. It can be cathartic to express our dissatisfaction through anger and by personal attacks. This becomes a distraction from what we are actually advocating for, which is the quality of life for the animals. It really is OK to disagree, in fact it can be the first step to real communication, we just have to remember to do it in a respectful and non-judgmental way. Talk to people the way you would like your favorite friend or relative treated if they were in the same position. We can try to engage the people whose values we feel most distant from. This can be hard but it helps to know that you are not giving up your beliefs just by listening to someone else’s view, and maybe they will then listen to yours. Empathy is not about betraying yourself, it is about allowing yourself to try and see how the other person is experiencing the situation at hand. We cannot bully people into being compassionate! What we would like to see more than anything is compassion towards non-human animals. Let’s try it on each other first! We would like people to realize that killing something just for recreation is simply not OK. Advocates and watchers can be dismissed as being ’emotional’. 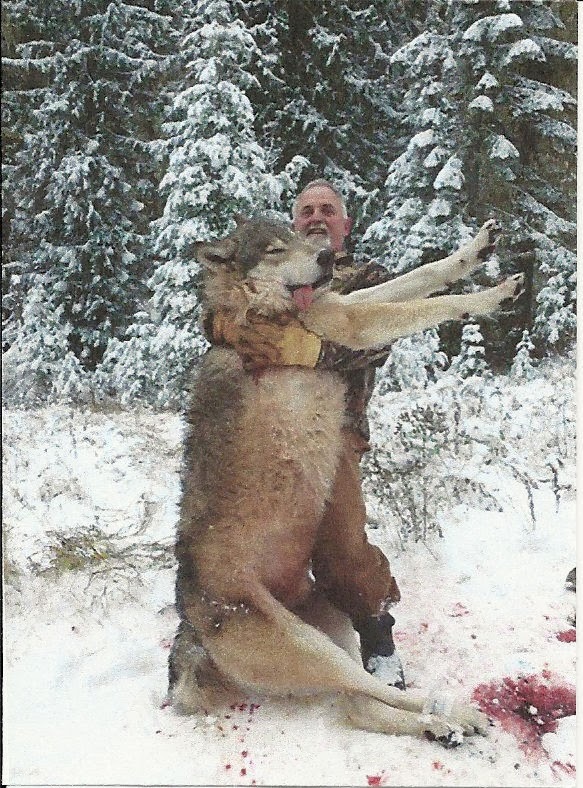 If we think about sport hunting of large carnivores (cougars, wolves, bears) logically, we realize that there is no reason to do it. It is not a conflict prevention measure because it does not target ‘problem’ animals. It is for recreation, and why do we recreate? We recreate for enjoyment-it gives us pleasure. And what are ‘enjoyment’ and ‘pleasure’ if not emotions? Always remember that change IS happening. 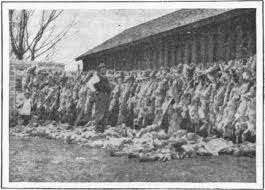 If we examine societal attitudes towards carnivores even since the 1960’s, it really is better, BUT there is movement today to go back to the old way of regarding these creatures as redundant. Several states have had bills introduced in efforts to relegate cougars to ‘predator status’ which is basically no accountability whatsoever. Surprisingly much of the pushback to this regression is from professional wildlife managers. Some of them really are stepping up to the plate to fight for some semblance of protection for wild carnivores. Those that do, deserve our support. As do those brave public servants devoted to protecting our Public Lands, these lands must stay in the Public Sector. This is an insidious and very real threat and we must respond to it with unity and firm resolve. A quote by Woodrow Wilson recently came to our attention. It was part of an address to the Senate regarding the 1st World War. The arena of wildlife management is similar to the arena of war in its propensity to end up as highly defined ‘sides’. Perhaps the theme of this quote could be well utilized to administer the Public Trust Doctrine that governs our nations wild-lands and wildlife. I offered this blog post more for me than for my readers. I spend my summers living in my camper in forests and meadows in the USA and Canada. The reduction in my wildlife sightings in both countries over the past 5 years has been very obvious. As I ask around, the consistent answer is hunting (both legal and illegal). I am very angry !!! 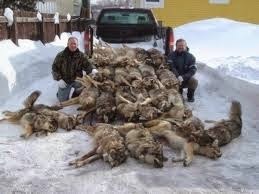 These people with guns are making a major impact on wildlife and dare to say that they are conserving Nature. I need to be reminded that my anger will not contribute to a positive solution. Nor will protests help. But yet, those of us who oppose hunting and culling need to look to ways to achieve positive solutions. This post from Rick Meril’s site suggests a good start.